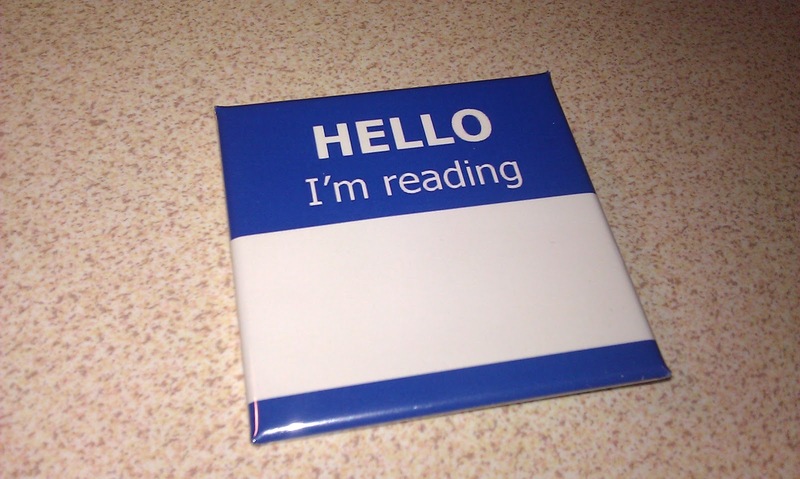 The pin" I'm reading" is very meaning for a non-native speaker because most of them do not keep learning or not dilegently. Learning a language is a job or assignment like Marathon, he or she could not give up in the way. What do you think? Please keep the pin close to you and keep learning. From the picture, it seems that you are a little fatter which represents having a comfortable feeling at stanford. You still look young although you have not had your hair and beard cut for more than two months. The teacher looks pleasant and I believe she is a nice teacher. 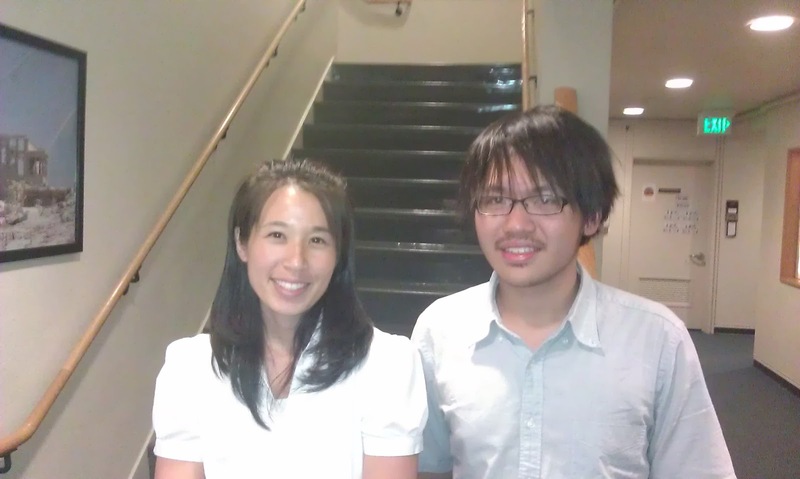 In addition, to be a teacher in Stanford is a pride for her and Taiwanese.